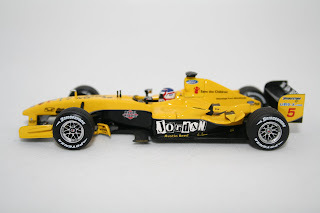 Limited Edition Jordan EJ14 Formula One Car as driven by Nigel Mansell at the 2004 Regent Street Parade in London. 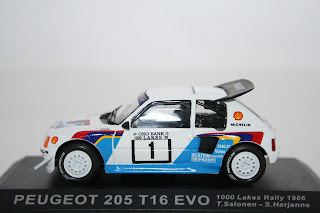 Please keep checking our shop for the above model soon to be listed. 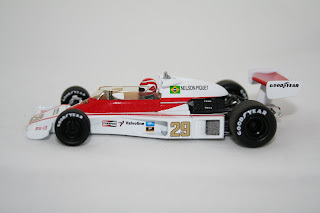 McLaren M23 - Nelson Piquet 1978 Austrian Grand Prix, Limited Edition of 1,872. Opened in 2006, Hart Motorsport sell motor sport models and memorabilia all over the world. We specialise in the sale of Formula One, Moto GP, WRC, Superbikes and Sports Car Models both new and old. We have vast amount of expereince and knowledge of the field so you can guarentee a sensible answer to any question you may have. Please make sure you bookmark our website to keep updated with our latest news and offers.